Welcome to The Secret Vein Clinic! 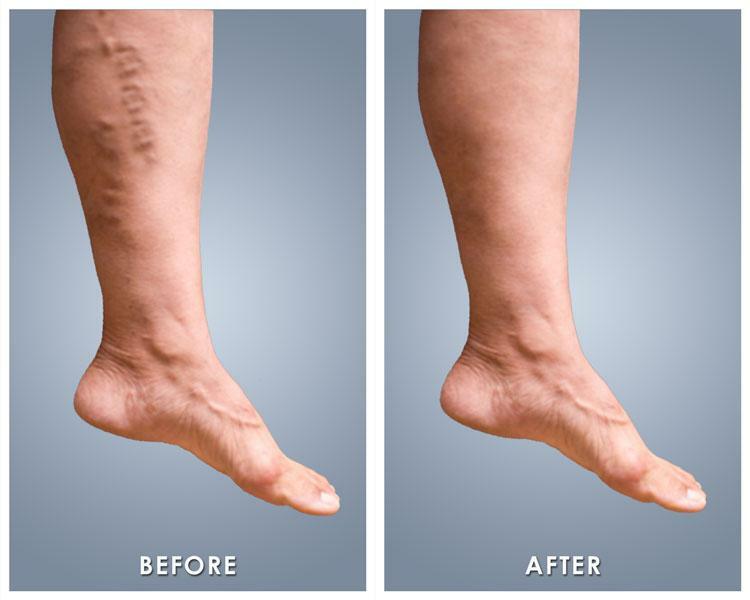 A La Jolla vein treatment clinic that specializes in the medical, cosmetic, and surgical treatment of varicose veins, spider veins and various vein disorders. Unlike some other vein clinics in San Diego that offer other cosmetic services, varicose vein treatment is our main focus and top priority! Call us today to schedule your FREE consultation or book your appointment online! Why Choose Our Vein Clinic? • Endovenous Laser (EVLT) - Endovenous laser vein removal is a simple, minimally invasive procedure. Typically performed under local anesthetic, this procedure involves inserting a thin laser fiber optic catheter into the vein and then applying heat to seal the vein shut. • VNUS treatment or R.F. Endovenous Ablation - This vein treatment procedure is similar to the endovenous laser treatment. The catheter inserted into the vein uses radio frequency waves to seal and destroy an unsightly vein. • Sclerotherapy - A common form of spider vein treatment offered at our La Jolla vein treatment clinic, sclerotherapy involves injecting a solution into the problematic vein. This solution causes the vein to collapse. Sclerotherapy has been used to treat large varicose veins and small spider veins for over 150 years and is still considered the "gold standard" for treating large varicose veins, despite advances in laser therapy. • VariLite Laser- This is a dual wavelength laser system that is extremely effective for vascular lesions such as: telangiectasias, cherry angiomas, spider angiomas, venous lakes, blue facial veins, hemangiomas, port wine stains and spider veins. • Phlebectomy - Phlebectomy is the surgical removal of large, unsightly, bulging veins. This is a minimally invasive procedure done through small 2 - 3 mm incisions or puncture wounds and extracting the diseased vein. Usually no visible scars are seen because of the micro incisions. Usually this is done as an adjunct procedure to the EVLT or the R.F.Endovenous Ablation. Which Vein Treatment is Right for You? Dr. Mann performs a comprehensive venous workup using advanced diagnostic studies and a physical examination. Diagnostics include duplex ultrasound exams, which identify the veins with faulty valves responsible for venous reflux, as well as vein mapping, and deep venous thrombosis (DVT) studies. Using a complete anatomical workup, symptoms and physical examination findings, and ultrasound analysis, Dr. Mann diagnoses your condition and recommends the most suitable vein treatments. Whether you undergo endovenous laser treatment, sclerotherapy injections, Veinwave treatment, or surgical vein removal, you'll be ready to return to work as early as the next day. We are providers for Medicare, MediCal, Tri Care and most PPO insurances, including Blue Cross, Blue Shield, Aetna, Cigna, and United Health Care.